Just two weeks left until I'm done the semester! Thanks to anyone that has been so patient about my absence, I really do appreciate it. 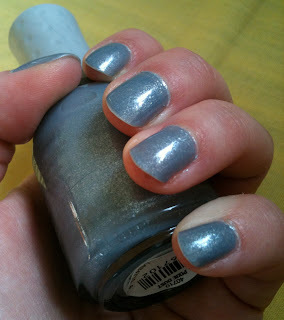 Here is a quick nail polish review to hopefully hold you over. I've had this polish forever it seems then I got distracted by other polishes, then I lost it and finally I have found it again for review! 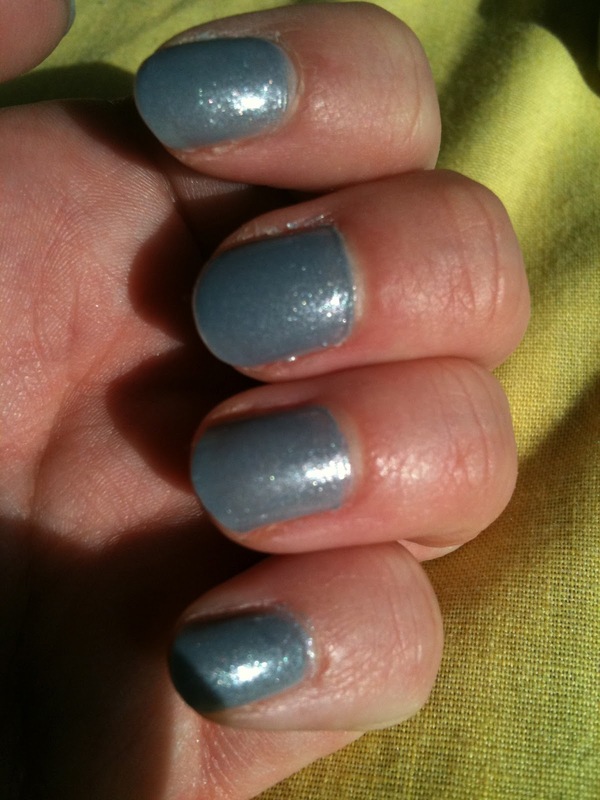 Orly Pixie Dust (which is an awesome name in my opinion) is a lovely grey-lavender colour with blue undertones. 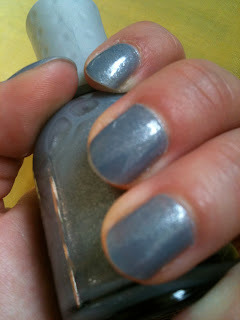 It has little glass flecks that are almost silver throughout making it have a very pretty subtle shimmer. It isn't a blow your socks off shade like a holographic or magnetic polish but I do really enjoy the subtleness that this provides. It's a demure not too in your face shade that is very wearable in my opinion. Depending on the lighting it can look grey, lavender or blue which is an interesting effect as it isn't duochrome at all. The formula on this one was pretty good it was easy to apply but slightly sheer. 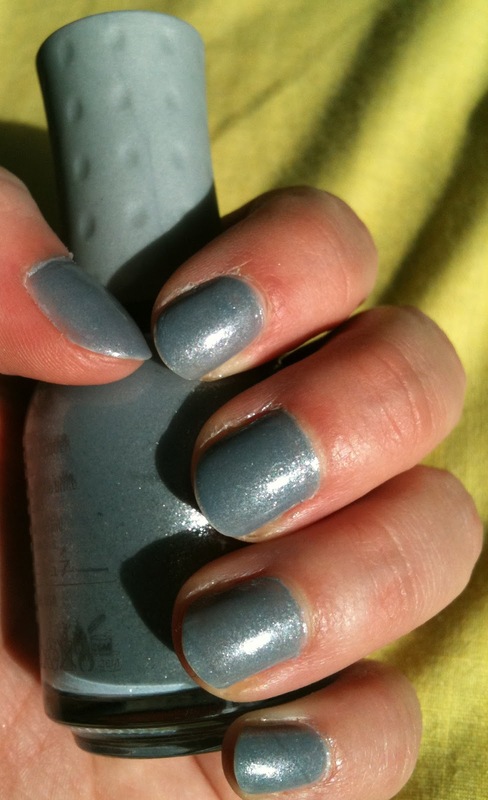 It took 3 coats though some nails could have used a thin fourth one. It had decent lasting power too but most of my polishes last half decent now that I use Cult Nails base and top coat so I can't really comment on that with accuracy. Overall, Orly Pixie Dust is a pretty shade but not one your really need to hunt down like I did. 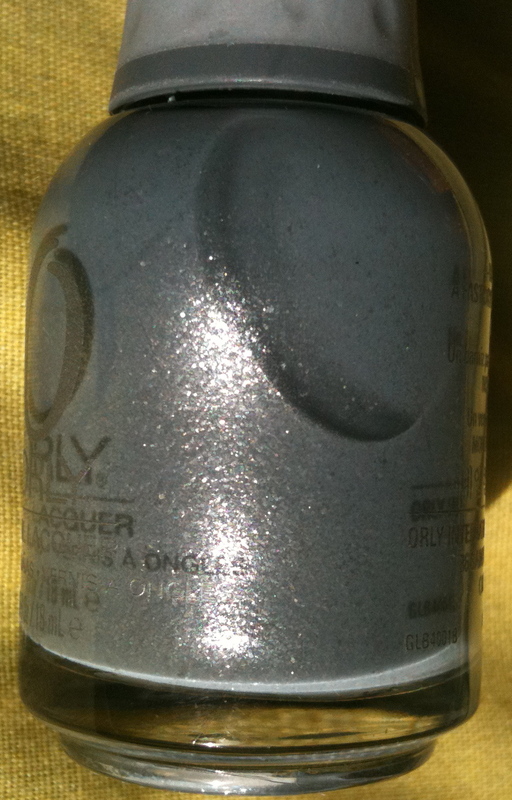 I like the polish and I'll use it but seeing as this was recommended to me as one of Orly's must have polishes I don't think it is that noteworthy. Sprite Rating: 7/10 It's a pretty colour and the glass fleck throughout is nice but it is quite sheer so you have to build it up to get it opaque. The formula was about average for a nail polish in other respects not too difficult to work with but not extremely easy either. Would I Buy it again? Taking into consideration shipping charges and other similar colours I own I would have to say no. 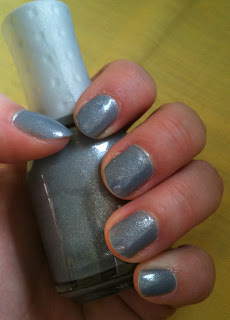 While I do like the colour I think there are better formulas out there.